My teenage daughter recently developed a headache and fever bad enough for her to tell me: “Mom, I need to go to the emergency room. Please, take me now.” At the E.R. we learned that not only was she running a fever of 102, but her heart rate was well above what it should have been for a 15-year-old. “We’ll start an I.V.,” the nurse said. “Oh, and her swab just came back positive for Influenza A. You’re going to be here for a while.” My daughter began to cry; I held her hand as she lay on the gurney. As any parent knows, there is nothing worse than seeing your child in pain. That particular fear—having to witness a suffering child—was repeatedly cited in the coverage of New York’s new abortion law, which permits elective terminations up until the moment of birth, as well as similar legislation in Illinois and other states. Much of this coverage was based on the assumption that late-term abortions involved dire medical conditions which would either be fatal to women who continued their pregnancies or result in the child being born with disabilities. One woman, a member of the abortion-access lobbying group Naral, wrote in USA Today about the “crystal clear” choice to have the procedure out of “the purest mercy” for her child. Late-term abortion was portrayed as a zero-sum game in which a mother had no other option but to abort. This concern does not match the data on late-term abortions, which suggest that most are not done for reasons of maternal or fetal health. For example, in 2013 the Guttmacher Institute (which advocates for greater access to abortion) published a study by two University of California researchers who concluded, “data suggest that most women seeking later terminations are not doing so for reasons of fetal anomaly or life endangerment.” More common reasons included the fear of raising a child alone, addiction problems and delays in seeking an abortion after discovering a pregnancy. The idea that late-term abortions are sometimes the only way to spare children from a life of constant pain is also unsupported. Conspicuously absent from this debate, and even from the typical conversation between doctors and women receiving adverse prenatal diagnoses, is any mention of perinatal hospice and palliative care. Perinatal (which means “around the time of birth”) hospice care employs many of the principles of compassionate care that the standard, more well-known hospice provides for other patients with terminal illnesses: nutrition and hydration, comfort care, pain control, and time with family for bonding, prayer and expressions of love. The idea that late-term abortions are sometimes the only way to spare children from a life of constant pain is unsupported. Perinatal hospice does not seek to hasten death. Rather, it “follows the child,” presenting a model of accompaniment for both the child and his or her parents. Physicians, nurses, social workers, chaplains and other trained professionals work to ensure that families are able to cherish the time they have with their child, however brief. I was made aware of perinatal hospice when one of my friends discovered her unborn daughter had a rare form of anencephaly. Although she was strongly encouraged by doctors (pressured, actually) to end the pregnancy, she declined and asked for a cesarean section to give the baby the best possible chance of extended survival. Although she lived only six hours, Mary Bernadette was baptized, held, sung to and even taught a few words of Czech by her grandmother (so she would be ready to meet her relatives in heaven, grandma explained). She died peacefully and painlessly in her father’s arms, surrounded by her family. Women who opt for perinatal hospice have far better outcomes than their counterparts, especially related to anxiety, depression and grief. A few days later, Mary Bernadette’s parents learned that her donated heart valves had been used to save the lives of two critically ill infants. This is not always possible for such infants, but to her parents that knowledge was a tremendous consolation. Studies report that women who opt for perinatal hospice have far better outcomes, in both physical and mental health, than their counterparts, especially related to anxiety, depression and grief. Nebraska has recognized this and now requires health providers to provide information about perinatal hospice care to any “pregnant woman who finds out that her baby has a life-limiting condition and who chooses to continue her pregnancy.” In contrast to the narrative of a zero-sum gameof termination, which pits mother against child, perinatal hospice is a positive-sum game, one in which all participants benefit. Beyond who wins or loses, perinatal hospice promotes the dignity of all, especially those who will travel with us for just a short time and go to wait for us until we can join them. This is vital, timely information, beautifully expressed with very relevant examples and authoritative sources! Thank you, Ms. Fiorito! We should always strive to support women in crisis pregnancies, no matter the circumstances. Thank you for your beautiful story. Loving and respecting the mother and child is so vital. And until the child is an adult. Michael-Yes, absolutely, if need be, although I think most mothers would prefer they receive help whereby they can earn enough to support their child on their own. Mary, why did you start your article with a story about going to the ER with a teenager who has the flu?
? She explained why--to make the point that all mothers suffer when they see their children suffer. I don't see anything wrong in offering women this choice in this extreme situation if they have decided to continue the pregnancy anyway but I do have a problem with pressuring women into doing this If they have not shown an interest. For starters the woman in the story had to undergo a c section to take part in this option so already you are making a woman have surgery she would not necessarily require with an abortion of a fetus that is not going to make it. Also for those pain sensitive folks, suffocating over six hours because your lungs are not mature enough to breath for your survival which is probably why the child died the same day is not a pleasant way to die compared to never being born conscious to the pain. Again, in such cases, the mother, doctor and family's wishes should prevail. I agree with you, Nora, that this is a good service doctors for women who choose to continue their pregnancies. The problem lies in Mary's self-indulgent and manipulative opening. She rhetorically establishes that, darn it all, Mary is a mom, too, and double-darn-it-all, her 15 year old had the flu once and had to go to the ER for IV fluids. So we should listen when she opines on other women's healthcare. America, you really can do better than publishing this kind of material. Or at least suggest some edits. Mary had good information to share. Too bad she introduced it with a manipulative opening. I know I wish pro lifers understood that the manipulation of the truth or the use of high drama in their tactics just makes their argument appear weak. A two-sentence opener which was tied directly to the lie (oh it's only "incompatible with life" situations) used to push abortion until birth is not self-indulgent or manipulative. And the flu is a DANGEROUS and DEADLY infection. Huh? You have completely lost me Margot. Is there a point in your comment? Are you for or against this kind of hospice care? Nora- I'm just curious if you have an issue with women being pressured to abort, as was the case of the woman in this story? Do you fight with the same vigor for all the women who feel pressured into making the 'choice' to abort, or is your passion strictly aimed at those men and women who want it when they want it, no questions asked? If the pregnant woman in this story was "pressured actually", why not --- in a narrative rich with details relevant and not (that kid with the flu) --- describe the pressure in similar detail? Having worked as a professional in trauma and critical care hospital units, I know first-hand that physicians' medical recommendations in crisis situations are often articulated and experienced as "strong recommendations" and occasionally as pressure due to the the reality that many, if not most, catastrophic diagnoses can be addressed, if at all, only through interventions which can performed safely only through narrow windows of time. What sounds and feels like "pressure" to distraught and shocked family members, friends and even other caregivers is often simply a statement of the devastatingly harsh facts of the case, delivered bluntly and directly to cut through the protective layers of human denial which, normal and healthy as it is, is also dysfunctional when catastrophic diagnoses call for medical planning. Mary is a lawyer and lawyers understands that dynamic. And she knows it is good practice, not "pressure, actually". Mary's writing is manulipulative even this point. She writes that the mother was "strongly encouraged (pressured even)" by the doctor. I doubt Mary's parenthetical statement, and I wager Mary doubts it, too. In a narrative rich with details relevant and irrelevant (the kid with the flu), Mary's decision to claim the mother was "(pressured actually") was strategic. And it obviously hit its mark. With no factual information, Lisa, you have determined that "the woman in the story" was "pressured" to have an abortion by "choice". This is piece is manipulative, start to finish. Again, a shame. Everyone benefits when resources are shared. Mary - and America Magazine - had the opportunity to educate about a valuable resource for pregnant women with catastrophically complicated pregnancies. Instead of educating the public about a valuable resource, Mary manipulated the reader (and exploited a grieving mother, actually). And the day may come when Mary's teen (if she exists, actually) may ask Mary, "how could you compare my flu in front of the whole world to a baby born without a brain"? J- With no factual information you have determined the woman was not pressured, or does not actually exist. I simply choose to believe the author who says she was pressured. Regardless, it seems you, and others prefer to deny this possibility rather than accept women have been, and continue to be pressured and manipulated into having an abortion on a regular basis. That concerns me, and will always concern me. I would think that those who argue it's a woman's choice would feel the same, yet it seems, at least in these posts, it is not only of no concern, denial of it's existence is the preferred strategy. Lisa, my sole argument here is with the author's manipulative writing. If America's editors want to share resources, it would seem easy enough to identify writers who respect women sufficiently not to communicate manipulatively. Have a good day, Lisa. Wow! Shame on you to imply the author was lying and then to misrepresent what she wrote: She NEVER compared her child suffering from the flu (which is dangerous and deadly!) to a child born without a brain! But she did point out that the law doesn't ONLY apply to those children who would be born without a brain. To answer your question, I am definitely against anyone pressuring any woman to abort their pregnancy. I have no problem with any woman choosing to do what this woman did in the story because I am not in her shoes so she is the most just person who can make these choices. She more than anyone will have to contend with her decision, physically, mentally, financially, spiritually no matter what her choice. For the record I believe personally that abortion is a sin as it is an act which shows forth a lack of faith at its core. So I judge the act but not the often desperate women who have it performed. I don't blame women for the fact that abortion is desired in any country. I agree our country and its mostly still male led government is as much if not more to blame. Notice it is a conservative wealthy republican white man trying to push this bill through, and he is the very sort of politician who attacks the affordable Care act, mandated equal pay for women, and government provided quality day care, another words the very things that have proven globally to cause abortion rates to drop. He has had people do the research by now and he knows these kinds of laws only increase abortions everywhere in the world but he tries to push this through anyway. Don't be these men's fool. These rules cause more deaths to the born and unborn alike - do the research yourself. These kinds of laws are a wrong answer to the right question of how should we decrease the demand for abortion? The greedy male politicians only want to try to control women. They are only interested in illegalizing abortion. They have zero interest in actually preventing abortions. I cannot really think of a reason i would abort except if the chances of the baby making it were next to none and the fetus might turn septic and kill me if it should unexpectedly die inside me, or if I had early onset pre-eclampsia and would stroke out before five months and so I am robbing my other kids and husband of a wife and mother and yet I am not saving the baby anyway. However, I fully believe that the choice is and should legally be mine. I believe people need the right to decide what they will do with their own organ's and bodies even if deciding not to let another human use their body or organs means that the other person will die. We do not demand people give blood or donate organs so that others can live, not even ones we can live without like kidneys or marrow. We do not even make dead people donate their organs after death to save others lives even children's lives. So I don't believe women are as free as men If we legally force them to gestate others or the unborn against their will while we demand no such equivalent mandated use of men's organs and bodies in similar life saving situations. There exists no laws that anywhere near approach the intimately intrusive laws some people have been throwing out there to restrict women's rights over their own bodies and organs. I don't believe God cares more about the lives of the unborn or babies than he cares about the lives of women. If God wanted the liberty of choosing what to do with their bodies taken from people God would not have put the tree of the knowledge of good and evil in the garden of Eden. From the beginning God has supported the liberty of people to choose how they will use their own bodies even though God knew they would choose a self destructive path with that free will. There are present two potent sins in the abortion dilemma. The first sin is the desire to abort. The second sin is the desire for men to control and manipulate women rather than treat them with equal respect and help them as they would wish to be helped while making certain greed and competition for power over the situation are not allowed to play any part in the equation. Unfortunately, pro life groups tend to only recognize one of these sins. I believe this is why they fail to gain what they seek. My advice, stop seeking laws, and you will find the answer that truly will make all the difference and that answer will save lives and set women free rather than cage them or corner them into desperation. Have a little more faith in God and women. Women have already proven that when we give them freedom to choose and offer better options, in huge numbers, women stop aborting on a global scale. This fine article reminded me of two different events in my life, one which I only experienced indirectly, another in my family. Years ago, I financially supported a crisis pregnancy center founded by a physician. He and his wife (a remarkable woman) sheltered pregnant women of all races and religions in their home. The doctor's wife, who became pregnant after being raped at a young age, had the courage to give birth and released her child for adoption. This inspiring couple not only raised their own children (the physician is on the board of a home for pregnant woman which I occasionally financially) but the couple also adopted from a woman considering abortion an infant who was severely disabled. They cared for and loved their son for the brief time that he lived outside the womb. Although I was unfamiliar with perinatal care until I read this article, I believe it is a compassionate approach for women and families in a difficult situation. On a personal note, in 1994 my parents took into their home my aunt who was terminally ill. My aunt, who was a widow without children, had brain cancer (who had surgery which was unsuccesful) and could no longer live alone, such were her needs. Along with my parents and an excellent hospice program, I assisted my parents in caring for the personal needs of my aunt. (I might add that my Dad had serious health problems at this time, and died of congestive heart failure after being comatose for a month in the summer of 1994,-fortunately, he died peacefully when my Mom and me were visiting). My aunt received excellent care from the hospice staff, and also went into a coma for several days while being cared for at home by hospice with assistance from my family. I believe that caring for human beings in difficult circumstances at any stage of life is the best course of action. May the Holy Spirit give the gift of fortitude to people in difficult circumstances. 1) It is a lie to state that the NY law permits abortions "up until the moment of birth". 2) the idea that women should give birth to fatally ill babies so that they can suffer for hours, days, weeks, before dying is disturbed. Most people would not make even a pet go through this, mush less a child. My presumption (and hope) is that a perinatal hospices would operate with the same principles and palliative care ethics as any other responsibly-run hospice. Which would require that there be no fetish around "the beauty of a life of suffering", that really sick attachment to the suffering which is encouraged by ignorant Catholic readings of the lives of saints. And, despite Mary having assured us manipulatively that she is an expert because she is a mother-in-good-standing-because-she-suffered-when-her-15-year-old-had-the-flu-and-had- to-get-IV-fluids-in-tge-ER, she STILL doesn't get to make health are decisions for pregnant women. One thing I learned when my mother was dying of cancer is that it's not always possible to take away all the suffering with painkillers. Yes Crystal I agree. There is much lying going on with the pro-lifers regarding these laws. They are being intentionally unclear when referring to time of birth. If a woman has a late term abortion, say in her fifth month because she has pre-eclampsia so the fetus is aborted to save the mother from having a stroke, which would likely kill both mom and fetus, by using drugs to induce labor this is not really up to the time of birth abortion because the abortion is causing the birth. 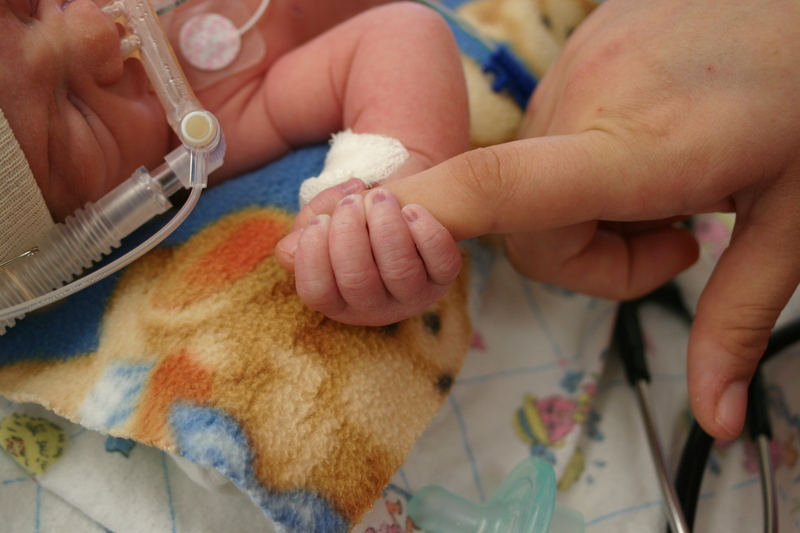 In these cases often the baby does not have mature enough organs to survive long. A law demanding that these aborted fetuses be hooked up to every machine imaginable to try and save them knowing the child will likely be severely deformed or go thru prolonged and extreme agony in the attempt to save it against the mother's desires does not really represent allowing abortion up to the time if birth since the fifth month is not even close to normal birth timing and this fetus is really being aborted and that was understood from the beginning. However, pro-lifers will refer to this misleadingly as allowing abortion up to the time of birth on demand. I agree there are simply some life and death decisions that need to be left to the pregnant women, their drs and the women's family. Where abortion exists as a procedure known to man, someone is always choosing not to abort every pregnancy. So the question is who is the right person or persons to make that choice, the pregnant women and their doctors or government? I believe the first one is the only just choice. Our bishops who choose to use misleading statements regarding these laws are not helping themselves because it just strengthens the opposing sides argument that there is no point dialoguing with pro-lifers since they will lie and omit truths and exaggerate to get their way, and they clearly only care about illegalizing abortion instead of actually preventing it. Crystal: It is 100% accurate to say NY law permits abortions "up until the moment of birth." I analyze the law here. https://thefederalist.com/2019/02/04/dont-let-ralph-northams-racism-controversy-obscure-democrats-sickening-abortion-policies/ I can only assume you have been mislead by other media, so I encourage you to read the article which analyzes the actual statutory language. And I think you missed the point that hospice alleviates the suffering, while a late-term abortion causes deadly suffering. 2) I didn't miss your point, I just disagreed with it. I'm not sure how to compare the level of suffering between an abortion (which takes minutes) and the hours, days, weeks, that a doomed baby would suffer in hospice, even if drugged to the point of unconsciousness. Why put the child through this? As a person suffering from chronic illness, I'm certainly glad no one decided for me that I didn't want to be born and exist. It's almost like some of y'all don't have any charity. I'll gladly suffer to be alive, it's better than being killed with no consent. Thomas, like all hospice care services, this service is for patients with "life-limiting conditions" who are expected (usually by two or more fully credentialed physicians specializing in the patient's condition) to die in the near future. Traditional hospice care is for patients expected (by the diagnosing physicians) to die within six months of diagnosis. Perinatal hospicecare , by definition, is for patients expected (by the diagnosing physicians) to die around the time of birth. That said, given the high drama here by two attorneys and now a physician about a commonplace trip to the ER for a teen with an acute case of the flu and in need of IV fluids (meaning she got dehydrated, likely from vomiting and/or diarrhea), I understand why you might think this article addresses patients with acute or chronic illnesses as opposed to patients whose prognosis, per the involved medical experts and literature, is death at or around the time of birth. Again, the author's melodramatic opening story and writing was manipulative and, through that manipulative conflation of vastly different healthcare contexts and misrepresentation of the studies she cites, she obfuscates the purpose and import of the very service she claims she wrote to promote. What a shame. What poor advocacy for a valuable service. I expect more from public policy advocacy, which was the real point of this slippery piece of this writing. Finally, I am grateful to know that I should read carefully any commentary on this topic in which any of these two lawyers (Mary and Margo) and/or this one physician (Grazie) asserts her professional identity and, thus, authority. I know to watch carefully for obfuscating narratives and misdirections in part because they result in unfortunate and understandably upsetting interpretations like yours. With prayers that you feel well today. This isn't about babies with chronic diseases, it's about babies with *fatal* diseases .... they are terminally ill and are not going to survive. More would know if Catholic hospitals would advertise that they would do these procedures. Also, define late term. 3rd trimester? It seems unlikely for selfish reasons. Would Catholic hospitals do this for a second trimester mother whose infant was doomed or the mother if she carried to term? That would take some doing. As for the other reasons, financial support of every child at $1000 a month would stop a lot of abortion any trimester and is much preferable to going after providers. Providing respite care to parents of Down's children and full support for the children when adults, including making sure they can never work themselves out of support in a meanial job and you will really decrease 2nd trimester terminations. Good luck getting the movement to back such measures. Mary's links take us to a 2013 study about "who seeks abortions at or after 20 weeks". In 2015, 1.3% of abortions occured at or after 21 weeks, with the vast majority of the those 1.3% of abortions occuring at or before 24 weeks. So ALMOST ALL of abortions in 2015 occurred at or before the 24th week of pregnancy, a month before the third trimester beginsin the 28th week, with a tiny (though very real) number occuring at any point after 28 weeks or in the third trimester, let alone the very end of the third trimester. There are many firsthand accounts available by women who had one of those third trimester abortions. Some of those women are using their real names because they are tired of being lied about. This article is a shame. Mary had a good resource to share and then she had to go and spill manipulations all over it. "J", 1.3% of 800,000 is more than 10,000; less, of course, as one gets closer to the 9th month. Regardless, though, let's not bow to the god "Number". We're talking here about a human life that deserves all the reverence manifested in St. Paul's maxim "Christ died for me." "Mary has chosen the better", indeed the only right path. Would that all would follow this way! A double-shame on you for more misdirection! The author NEVER mentioned third-trimester abortions. You did. She spoke of late-term abortions--and 20 weeks (where the fetus may be viable) is squarely within late term. I wrote a thread on that study and the misdirection for those who don't want to discuss actual facts! https://twitter.com/ProfMJCleveland/status/1098661735437873153 Your posts are a shame. You could make an intellectual argument but you had to go and spill misdirection and manipulation all over it. I was responding to Michael who asked if Mary was referring to third term abortions. Mary's writing is full of misdirection and it is manipulative. THAT is the intellectual argument. You are both lawyers, and both strategies are fair game in some areas in the practice of law. Mary overplayed her hand with a melodramatic story about her maternal suffering followed by a slippery use of a citation, with the result that she wasted an opportunity to introduce a resource to a broader audience. Thanks but no thanks for the link to your commentary on the study she cited. In the context of an article about hospice care for babies who will not survive more than a few hours after delivery, your high drama over a teen with the flu and upset because she is getting IV fluids in the ER tells me all I need to know. There are plenty of academics whose commentary is likely to be more grounded in good sense. This was a beautiful, well-researched, and well-written article on this topic. I have been involved with perinatal hospice as a volunteer at a local level for a several years, and found this piece consistent with my experience. I found it frustrating that the comments did not share this same commitment to truth, but perpetuated many of the false beliefs regarding the lives of these fragile infants and their mothers which prevent many from receiving compassionate care in this area. First, the suggestion that these brief lives are full of suffering doesn’t square with the reports from the field; the lives and deaths of these children are often described as “gentle” and “peaceful”, with any discomfort relieved by typical palliative care measures. Second, I have never heard of any woman forced into a perinatal hospice program, while I have heard from many women who feel pressured into abortion in the same situation. The fact that 80% of parents choose perinatal hospice when offered by a supportive physician suggests that this choice deeply resonates with mothers. Finally, the comment about fetishizing the beauty of a life of suffering also fails to acknowledge the real experience of families who have gone through perinatal hospice. Although certainly grieving for their children after death, they almost universally describe the lives of their children in terms of “gift” and “joy”. The beauty of these lives is real. Thank you so much for advocating for this most compassionate model of care for these infants and their parents. Mary, both Nora and I acknowledged the value of the service for families who choose it. I explicitly stated my assumption that that perinatal hospice practice would be consistent with professional hospice care, in which suffering is NOT a spiritual fetish and, instead, comfort is maximized. Given your commitment to your ministry, I understand overlooking our explicit statements. It continues to be a shame --- and a disservice to families and volunteers like yourself --- that Mary introduced the topic with her manipulative contextually-nonsensical tale of a teenager with the flu. Mary invited skepticism with that nonsense. Better that Mary had encouraged you to write this piece. Your comments were honest and believable as are the many pieces being written by women who, with their doctors and families, have chosen to terminate their pregnancies . Again, thank you for your good work. And thank you, Mary O'Callaghan! Magnificent! Pain and suffering cannot always be removed by drugs, without actually killing the patient, and sometimes it is hard to know how much a patient is still suffering from the outside. I don't doubt this practice makes it easier for some parents because they don't have to feel responsible for making a life/death choice. The whole situation is set up to make them feel better. But the child's experience should be what matters here, not that of the parents. Crystal- It is a little disingenuous of you to advocate for abortion on the one hand, in all circumstances since you have put forth the argument (in previous posts) that it is a woman's right, and then argue that the child's experience should be what matters. Am I missing something? I do and always have cared about the suffering of existing persons. A baby who has been born is a person. Most abortions happen very early, when suffering (and personhood) are not applicable. Crystal, I admire your lack of willingness to be manipulated. J- I am surprised that you would call discussing a fact manipulation. We are talking about late term abortion, and Crystal was addressing her concerns for the suffering newborn baby. I merely asked if the unborn baby, in this instance full term would not feel pain. How is that manipulation? Her response was most abortions are first trimester. Does that answer the question? That is avoidance to me. Crystal- ok, so lets say 37 weeks. How about that baby? What about a woman who will die unless she aborts a 37 week fetus? Would you let her die? What about if she'd just be damaged? How damaged would she have to be for you to choose her instead of the baby? Is there any circumstance in which you would choose her? Crystal- My thinking is it is never a choice to choose one over the other, and at the same time, one does not have to give up their life for another. Do I believe in treating a woman with a serious health condition, knowing that that treatment may result in the death of the unborn child, such as in ectopic pregnancies? Yes, because the goal is not to end the pregnancy, but to treat the patient who is facing a possible life threatening situation. No reasonable person would argue against that. The same may be true for cancer treatments, etc. The goal is to combat the threat to her life. When there is no other viable solution, sometimes these difficult circumstances occur. That is not what these discussions are about. That is a mere smoke screen to divert from the real issue. As someone who faced a very challenging pregnancy, I most certainly have compassion for any woman under similar or even more difficult circumstances. I just believe the push for a quick fix is never the answer, and causes more harm in the long run. I also believe that in far too many situations, those benefitting most from the abortion are not the mother, and that really, really, really bothers me. I consider abortion to be very anti woman, where in a lot of cases it is the man who gets off scot free, or the parents who care more about what others will think. That does not amount to a woman's choice, far from it. I will agree with you on one thing, that I do believe some people focus all their attention on the unborn child, with little compassion or understanding for the mother, and for others, such as refugees, impoverished children, migrants, the elderly, etc. For some, it is all about the unborn child. We need to love, equally all of us, and we need to promote equality for all of us, but without having to trade a part of us to do so. The standard of care in that case is an emergency C-section. At 37 weeks it is more dangerous to the WOMAN to abort than to deliver. Mary Hallan FioRito is an attorney and the Cardinal Francis George Fellow at the Ethics and Public Policy Center in Washington, D.C., where she specializes in human life issues and issues related to women and the Catholic Church.